Fans wanting to experience heaven — or is it hell? — on earth can do so at San Diego Comic-Con this year, as NBC will be re-creating “The Good Place” neighborhood complete with giveaways, even food, and the chance to snap photos with iconic elements from the series. Produced by Oaken Anchor for NBC, the activation will be set up in San Diego’s Gaslamp Square, between the Convention Center and Hard Rock Hotel. 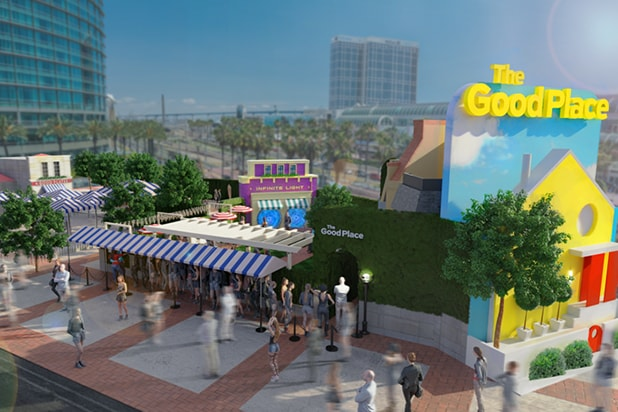 The Tin Fish restaurant will be transformed into “The Good Plates,” and 50 percent of the sales of a designated Tin Fish Restaurant menu item during San Diego Comic-Con week will be donated to No Kid Hungry, a campaign from the national anti-poverty nonprofit Share Our Strength. Fans will also receive a wrist-band that will maximize the full-sensory activation (pre-register on Wednesday, July 11 here). In addition to the activation, Universal Television is bring a “Good Place” panel to the convention on Saturday, July 21, from 11:00 – 11:50 a.m. in the Indigo Ballroom. 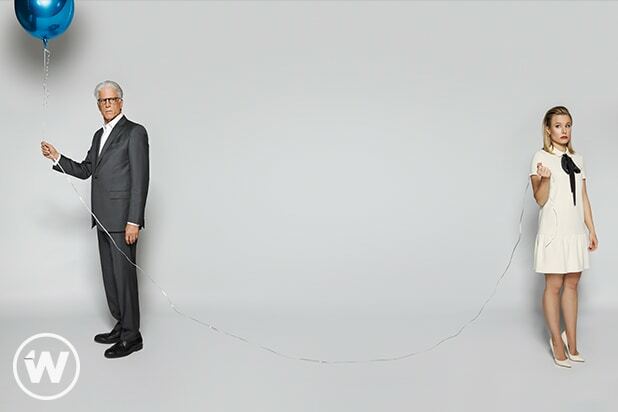 Stars Ted Danson, Kristen Bell, William Jackson Harper, Jameela Jamil, D’Arcy Carden, Manny Jacinto and executive producers Michael Schur, Morgan Sackett and Drew Goddard will all be there for the conversation. For the complete schedule of panels at Comic-Con 2018, head over here. 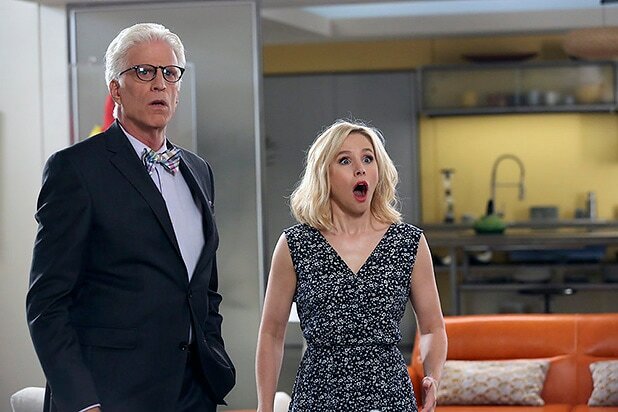 “The Good Place” returns to NBC for Season 3 Thursday, Sept. 27 at 8 p.m.